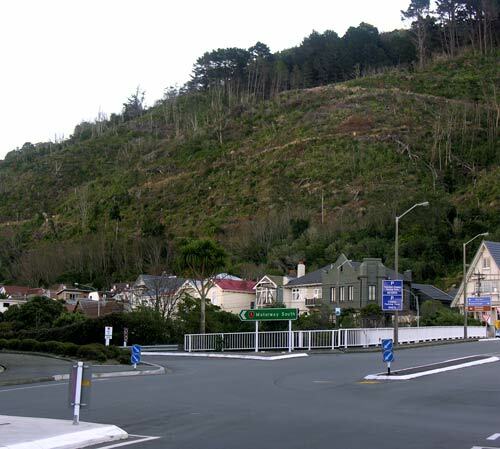 In the 19th century Te Ahumairangi Hill (Tinakori Hill) was cleared of native forest and converted to pasture. During the depression of the 1930s, the eastern side of the hill was planted in radiata pine and other exotic species to provide work for the unemployed. But in 2004, many of the trees were toppled by a storm. After the debris was cleared, the area was planted with northern rātā – when they mature and flower, the hillside will become a blaze of red.